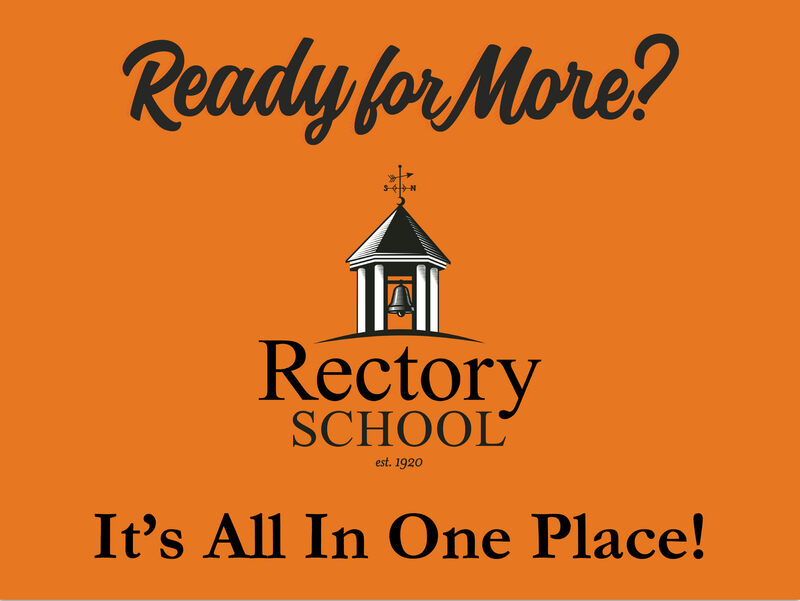 Rectory’s 5-day boarders have access to the unique and transformative opportunities of a traditional boarding school while still being able to enjoy time on the weekends with family and friends. High-value academic, electives, arts, and athletic offerings. Onsite tutoring integrated seamlessly into the academic day. Expert staff implement comprehensive health and wellness programs. Teachers available for extra help outside of a typical school day's hours. Increased collaboration time on group projects with classmates. Global student population creates a diverse community in a beautiful rural setting. A dress code that helps students dress for success (and learn how to put a matching outfit together--in most cases). Growth opportunities position students for success in high school and beyond. Register for the April 11 Open House! Five-day boarding at Rectory allowed our kids to focus on school during the week—no running around to lessons or practices or appointments, or trying to do homework in a busy household with endless distractions—but be home enough on weekends and breaks for us to remain closely involved in each other’s lives.